We’ve all been there: job hunting can be a stressful and daunting task. If you are looking for a new career opportunity that is right for you, you need all the help you can get. Here is some expert advice to help you prepare, get through the process and stand out from the crowd. Flaunt your skills. Always include your title, certification or professional designation(s) in front or behind your name: Sue Smith, QSA, ASV, CISSP. This allows employers to confirm at first glance your designation/credentials, and enables you to be searchable on the web. Utilize your network. Networking is a huge tool to leverage if you’re on the job hunt. In this tight-knit market, former coworkers, sales people and other industry contacts are your key to meeting a hiring manager and establishing mutual trust. Don’t be shy about politely asking for assistance – one day they’ll be looking for jobs too. Understand what the job is. It might sound basic, but job titles can vary from one employer to another. It is really important that you spend time reading the job description to understand what will be expected of you on a day-to-day basis. Have talking points. Prepare for an interview by writing down four main selling points about yourself (think of them as your message square) and practice them well. Stay focused and be ready to go back to these points – it’s easy to move off topic. Ask questions. You’ve applied for a job and now you’ve landed a phone screen with a talent partner to discuss the opportunity. Ask a lot of questions and be open to advice. This Q&A will help you discover if the position you applied for is the right fit for you. Be honest. When answering the dreaded “What is your weakness?” question, give an honest example of something you can improve on. Be humble, yet don’t sell yourself short. Always follow up with examples of how you’ve learned from it and how you’ve improved. Follow up. Own your relationship with the recruiter/hiring manager with a simple, but sometimes overlooked courtesy: the follow up. 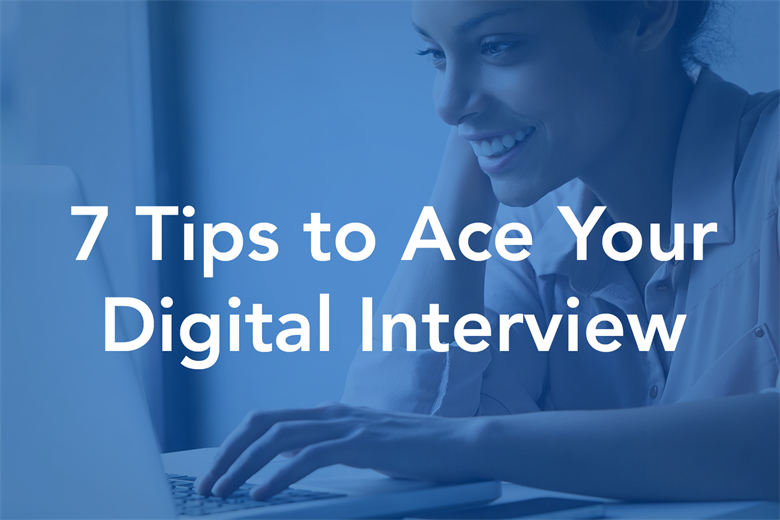 Be brief, but conversational and make it an extension of your interview. Recalling an aspect of the conversation helps bring you top of mind. What’s the best timing? A good rule of thumb is a week post interview. Learn to bounce back. If you had a bad day in your job hunt, shake it off. We’ve all been there. Even if you totally bombed an important interview, keep your cool and come back strong and confident. Try even harder tomorrow. Download the eight career tips from our pros in our careers resources section.